Passenger lists. They are something that every genealogist hunts for. Some are easy to find, while others aren’t and for those ones we swear that our ancestors either swam or arrived via spaceship. But let me tell you about the wonderful thing the Queensland State Archives have done. 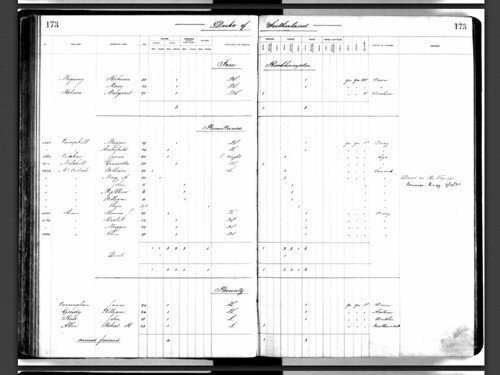 The Queensland State Archives have an index to passenger lists of those arriving in Queensland from 1848 to 1912. Sounds good doesn’t it! But it gets even better. This index all arranged alphabetically so your family is easy to find, has hyperlinks to the actual images of the passenger lists! Yes, truly. So you don’t even have to go hunting through each passenger list – they’ve all been indexed. So it honestly couldn’t be easier. Now the detail on the Queensland passenger listst does vary over time. 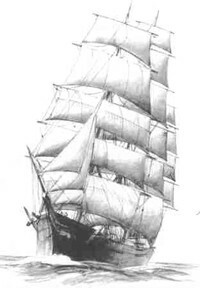 But they do include the names of ship, date of departure from European port and arrival in Queensland port, together with the tonnage etc of ships and names of masters, surgeons etc as well as the passenger lists, usually arranged by type of passage (eg free, assisted, remittance, bounty, steerage) or sometimes by type of immigrant (eg railway workers). Details for each entry for a passenger include the name, whether married or single, male or female and age, whether a child 1-12 or an infant. A summary of passenger totals, including births and deaths, may also be included. The passenger lists are primarily for assisted passengers from the United Kingdom and Europe. Please note that this list does not include passengers from New Zealand, the Americas, Asia, Africa, other Australian ports or those passengers who paid their own fare (in a few lists there are fare paying passengers included). You do need to be aware that this index does not include all immigration records for that period, such as some in the 1860s which are incomplete because they were inundated in the 1893 floods. The registers held at Queensland State Archives were rewritten from the damaged originals during that period. The Queensland State Archives have a short YouTube video that shows you just how to use these records. Want to start searching? Sure you do. Firstly click on the link below, then scroll down to “Search the Indexes”, choose the letter you wish to search, then page down till you get to your surname and family, click on the hyperlink of the ship, and you’re taken to an image of the original passenger list! Start searching for passengers now! It is a fantastic resource. Unfortunately there were many records lost in the great flood of 1893. Even more unfortunate is that my Great Grandfathers immigration is one of those records! Don’t rely on these indexes! Even if you don’t find your ancestor there, he/she may still be in the passenger lists. Details of ship/date of arrival can also be found in various other sources. For many passengers there is information in three or four different immigration sources plus some non-immigration records. The best information is in card registers of nominated immigrants, which are much more informative than passenger lists. The 2008 edition of the book ‘Tips for Queensland Research’, described on http://www.judywebster.com.au/, has lots of problem-solving advice re Queensland’s immigration records. This is absolutely brilliant! It took almost no time at all to locate my ancestor. Thanks so much. That’s awesome. There’s something very special about seeing an ancestors name on a shipping list isn’t there.